﻿ Norfolk Bearings and Supply Company, Inc. 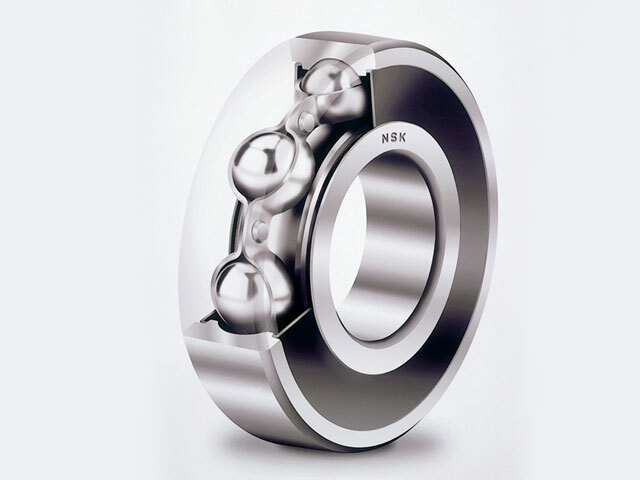 Deep groove ball bearings are used in a wide variety of applications. They are relatively simple in design, non-separable, capable of operating at high speeds. These bearing are suitable for radial loads, or a combination of thrust and radial loads. They require little attention or maintenance in service provided the customer selects the appropriate bearing specifications for his or her application. These characteristics coupled with a price advantage make deep groove ball bearings the most popular of all rolling bearings. Angular contact bearings are available in a wide variety of designs and sizes with axial clearances, preloads and high precision options. Angular contacts are designed to accommodate axial loads in one or both directions. These bearings may be preloaded at the factory so that the correct preload will develop within the bearing. They are also assembled with a specified contact angle under load. The most standard contact angles available are 15°, 30° and 40°. 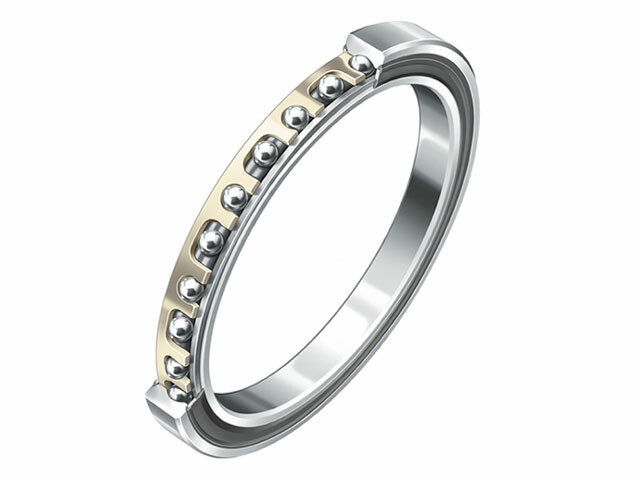 Self-aligning ball bearings have two rows of balls with a common sphered raceway in the outer ring. This feature gives the bearings their self-aligning property, permitting angular misalignment of the shaft relative to the housing. Therefore, they are particularly suitable for applications where misalignment can arise from errors in mounting or from shaft deflection. For applications where the load carrying capacity of self-aligning ball bearings is insufficient, spherical roller bearings, which have the same self-aligning property, should be used instead. Thrust bearing are available in ball and roller types. The thrust ball bearings are manufactured in single direction and double direction designs and are specifically designed into applications in which there is no radial load. The spherical roller thrust bearings are capable of handling shaft misalignment, very heavy axial loads, small radial loads and relatively high speeds. 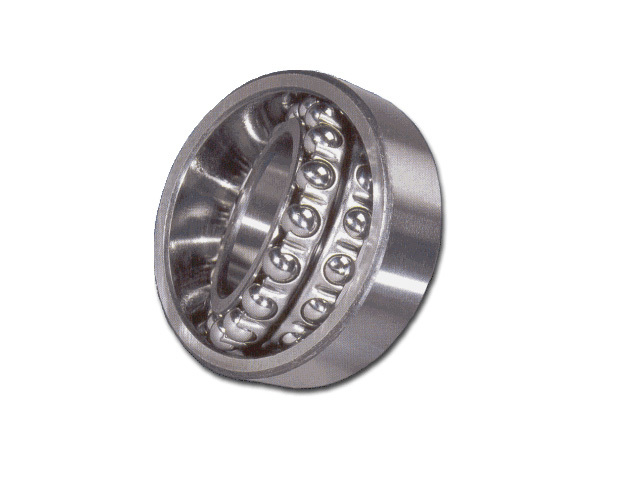 Spherical roller bearings have two rows of rollers with a common sphered raceway in the outer ring. The two inner ring raceways are inclined at an angle to the bearing axis. The bearings are self-aligning and consequently insensitive to errors of alignment of the shaft relative to the housing, and to shaft bending. In addition to radial loads, the bearings can also accommodate axial loads acting in both directions. The spherical roller can also handle large thrust loads for heavy shock and impact loads, making them suitable for heavy industrial equipment. 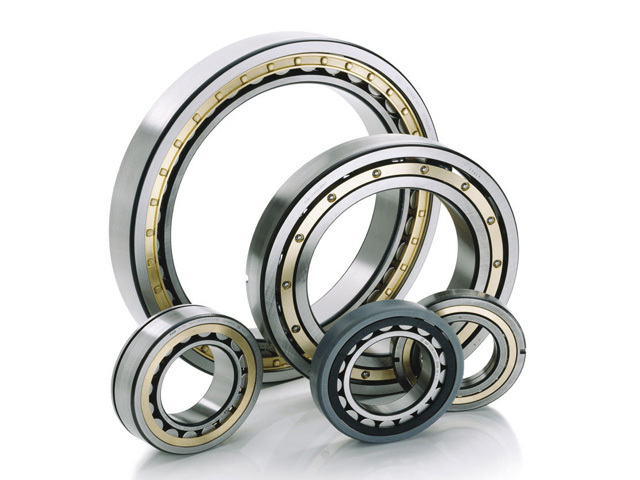 Cylindrical roller bearings are offered in a wide variety of types and sizes. The cylindrical roller bearing has rollers which are cylindrical in shape. This provides a modified line contact with the cylindrical inner and outer ring raceways, while the rollers are guided by ground ribs on either the inner or outer ring. 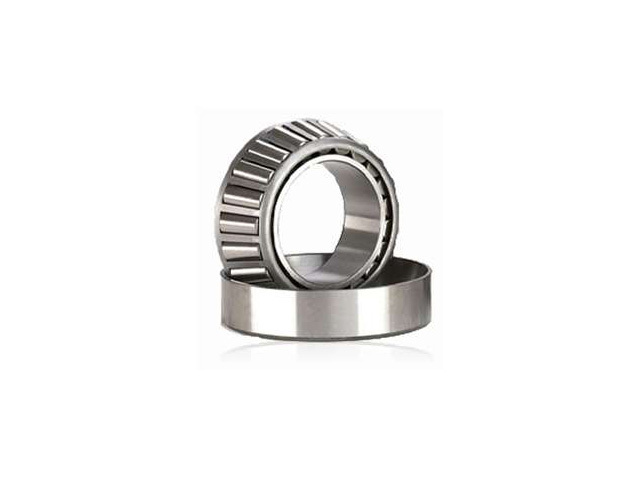 This bearing is available in single or double rows and is also available in high precision tolerances typically used in machine tool spindles. Needle roller bearings are roller bearings with cylindrical rollers, which are thin and long in relation to their diameter. In spite of their low cross section, the bearings have a high load carrying capacity and are thus eminently suitable for bearing arrangements where radial space is limited. 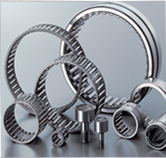 There are many different types of needle roller bearings, including drawn cup needle roller bearings with open ends and with closed ends, and needle roller bearings with and without inner rings. 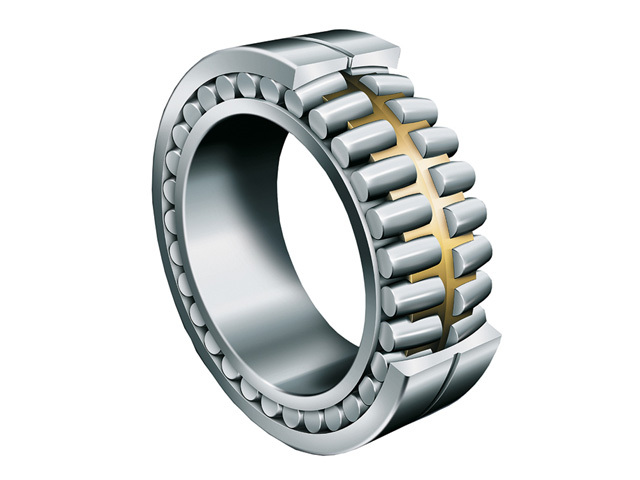 Taper roller bearings have tapered inner and outer ring raceways between which tapered rollers are arranged. Their design makes taper roller bearings particularly suitable for the accommodation of combined (radial and axial) loads. 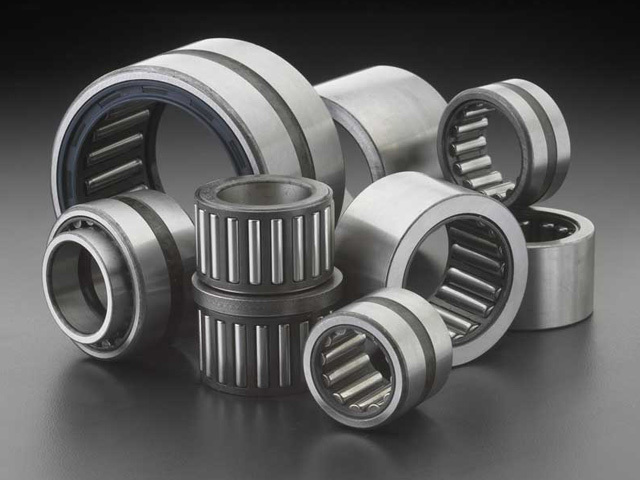 Taper roller bearings are generally of separable design ; for example, the inner ring with roller and cage assembly forms a unit which can be mounted separately from the outer ring. Taper roller bearing are offered any many arrangements from the most prevalent single row to more complex assemblies using double cups and spacers. Cam follower bearings are available in needle and roller types. 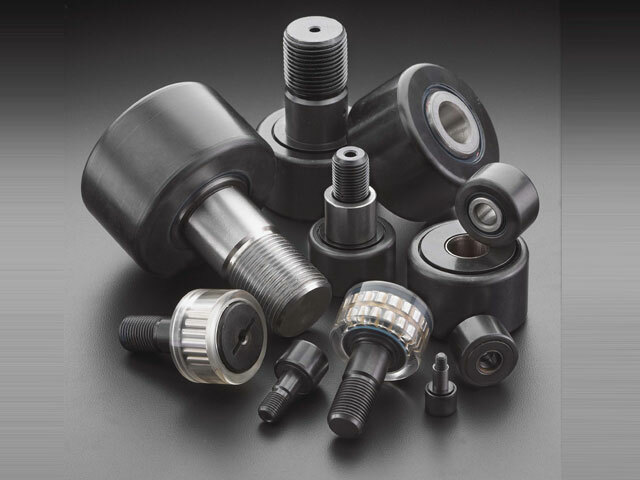 Cam followers are anti-friction bearings developed for use in cam or track roller applications. 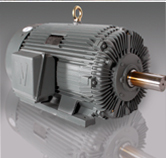 They were specifically designed and built to handle intermittent shock and heavy loads in a compact design. These bearings and normally provided with threaded studs but are also available without. 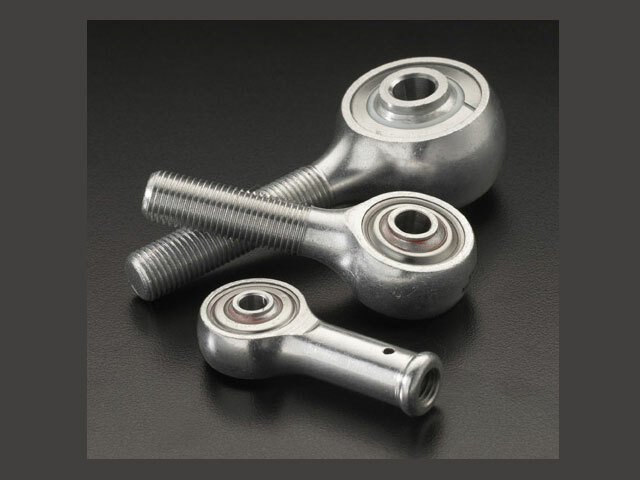 The rod end is also referred to as the Heim Joint named after its inventor Lewis Heim. While spherical plain bearings offer misalignment capability in a fixed housing option; rods ends offer ease in mounting and adjustment of position in installations such as mechanisms, Linkage, and control rods. Rod ends also provide a compact, lightweight, economical design alternative to a conventional housing installation. 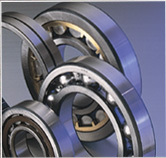 These bearing are offered in many styles and sizes with features options such as liners, grease fittings, and materials.